When my Kindle e reader broke a few weeks ago, I found the most close thing to a FOSS replacement: the Kobo, with a customized starter to run an alternative reader called Koreader. It runs on many ereaders and supports many file formats. This morning I discovered that Koreader also runs on my Lineage phone, and that there is a free online syncing service to keep all syncing devices on the same page. I’m incredibly excited about this feature, not only can I enjoy books from my new e-reader, I can keep on reading on my phone during short idle times here and there. 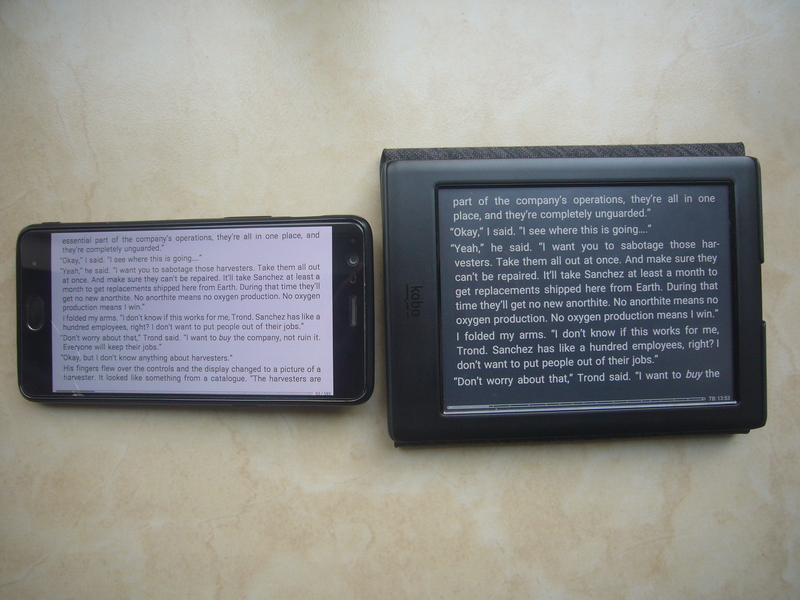 Oneplus phone left and ereader kobo right, both literally on the same page at all times.